Rain, in LA? In May? What next? Cats and dogs sleeping toghether? It was a fun weekend with the Westtown gang. The “like” button got added about 10 minutes ago. I guess people have some issues with facebook, or get the irony. Either way pretty cool that 495 people liked it in the first 10 minutes. And that’s from 2 of 8 servers (meaning 75% of visitors don’t see it yet). 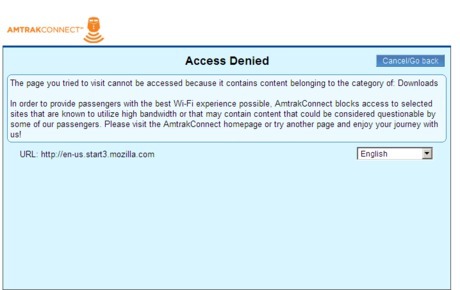 The Acela uses a Barracuda Networks filter to prevent people from looking at things they shouldn’t look at on the train, blocking video and large file downloads and generally drawing a draconian moralistic screen in front of the internet. 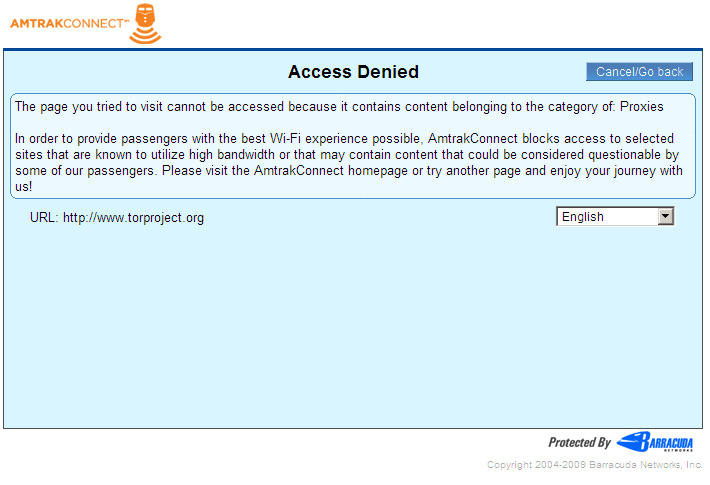 Given that TOR was invented by the Navy and is embraced by the state department, it seems a bit much to block access to the HOME PAGE. 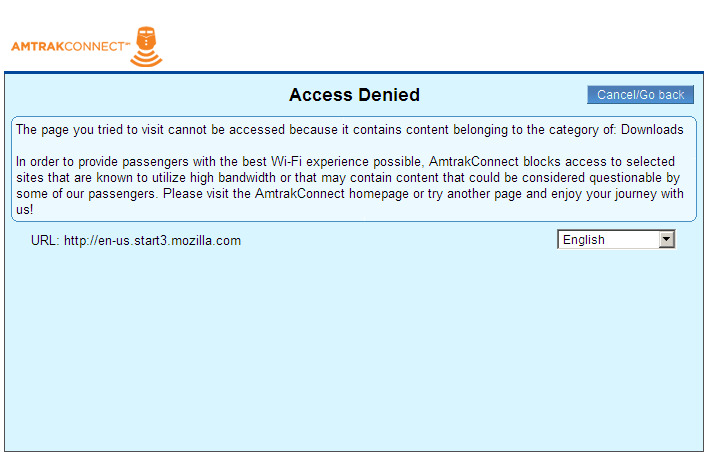 And don’t visit the Mozilla search page – you might “download” something! And WTF? dis.org sponsors criminal activity? 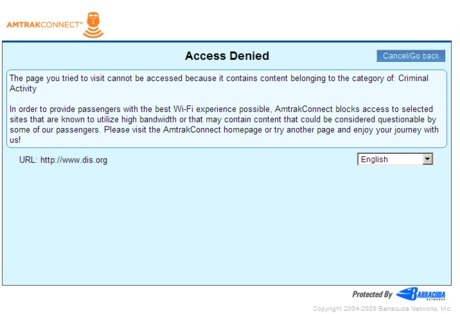 I wonder if this has more to do with retaliating against Pete’s patent on reactive firewalls that Barracuda is probably infringing than preventing train users from getting access to Yasu user manuals from the late 90s. Yay censorship! I really want some faceless cadre of morons dictating what information is good for me. No bad can possibly come of that.